There is short term opportunity for this community to acquire the E.I. Terry Co property and preserve an important piece of our town’s history. By creating a non profit organization to purchase this property, preserving the structure, and developing it as an event center for public use, this piece of Peterstown’s history can remain a historic landmark in town. FYI- The building is about 80 years old. This masonry structure is fundamentally sound. It needs rehabilitation of some basics – plumbing, wiring, heating, restrooms. The rubber roof has been maintained. A light inspection this week showed that the character of the building is still there and rehabilitation can be done. The owners have agreed to allow two months for us to raise funds to purchase the property. With positive results from a public meeting on March 10, a non profit is being organized and fund raising efforts have begun. The goal is $85,000 to purchase the property and get insurance. There is a short time frame to raise this money—by mid April. This is a task, but it can be accomplished with your help! We have posted a link for Donations on our site and ask that you not only Donate, but you share our page so other will have the opportunity to help. Phase II-will be renovations of the building which will require lots of labor, materials, etc. and additional funds. We will need volunteers to help in this phase as well as money to make this happen. Once we own the buildings, we can apply for grants and assistance. Our goal once we obtain these buildings and do the remodel is to develop an event center to provide educational, economic, and cultural experiences and opportunities for everyone in the area. In many states mowing your lawn means jumping on the riding lawn mower, taking a few turns around the yard, trimming, then sauntering back in the house as the Lord of your domain. However, West Virginia can be a bit different when it comes to mowing a lawn. We have an added dimension here called goats. I’ve considered buying a couple goats and a moveable fence myself. You see, I have parts of my lawn which are very steep. Too steep, in fact, for the riding lawn mower. Also too steep for a push mower or me in a pair of boots with worn and slick soles. As a matter of a fact, I recently searched http://www.WVyourWay.com for a place to buy some boots that could stick to the side of a cliff. I clicked on “Businesses,” then scrolled down to the sub-heading “Clothing” and clicked on it so the expanded menu would drop down. I then clicked on boots, hit the search button below the map and found two businesses in Lewisburg that sold them. When buying a pair, I asked the clerk if they would stick to the sides of a cliff. Low and behold, they actually do! It made trimming my lawn a whole lot easier. 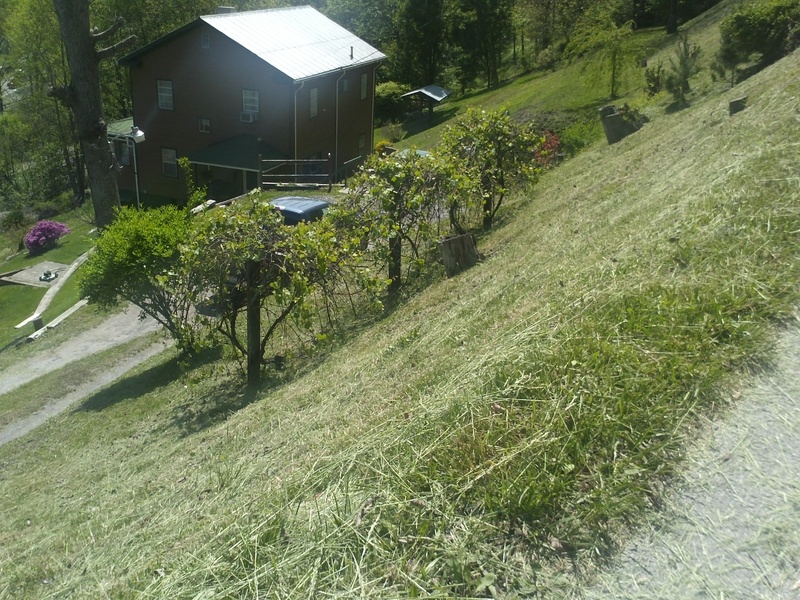 As I’d mow my lawn, I’d wonder if there was anyone in West Virginia that had a steeper lawn than mine to mow. 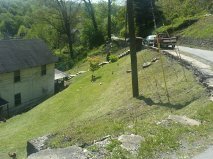 That’s when I drove through a section of McDowell County and discovered two lawns that made mine look like a beach. I seriously doubt if even goats would work on those lawns! 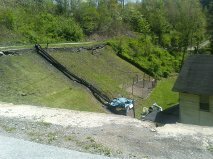 I took some photos, but to be honest, I don’t think the pictures reveal just how steep those lawns are. 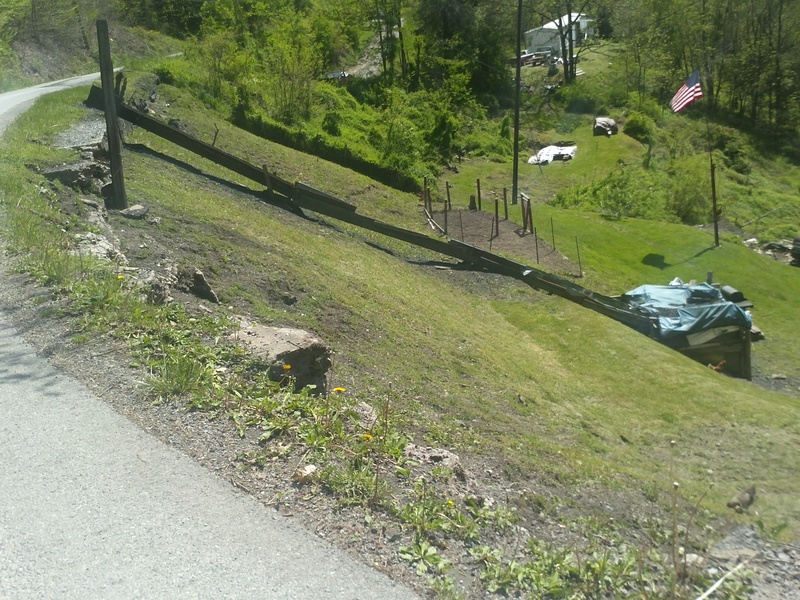 Maybe one of the lawn mower companies could hold a contest of the steepest lawns in the country. 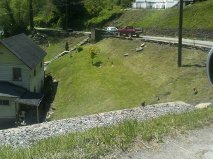 If so, I’m sure these lawns in McDowell County would take a prize! If you have photos of a lawn you think is too steep for goats, feel free to send some and we’ll see if we can find steeper lawns. Derby Days in West Virginia! 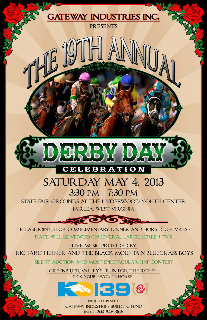 Get ready for the 19th annual Derby Day Celebration in Lewisburg, WV! 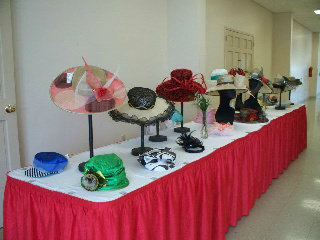 Gateway Industries, of Ronceverte, created and sponsors the “Derby Day Run for the Roses” fund raiser each year. This year’s event will be held on Saturday, May the 4th, from 3:30 until 7:30 PM at the West Virginia State Fairgrounds. Each year an average of 500 participants attend the event that models Derby Day as if everyone were actually in Louisville, Kentucky. 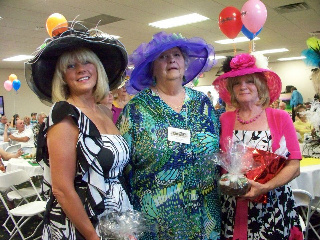 Besides having fun and giving ladies a good reason to wear decorated hats, the event is designed to help raise money for a very worthwhile organization in Gateway Industries. I am the proud Mother of a spoiled Chihuahua that I rescued from a Virginia animal shelter in late 2010. 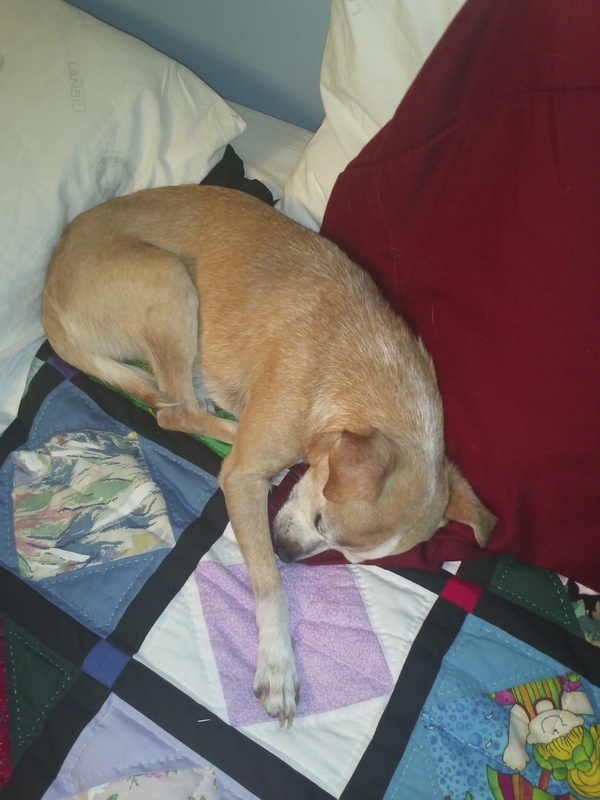 “Little Bit” is the first dog I ever owned – or does he own me? Either way, I’m so glad that I took that first step and finally adopted a dog. He has given me a lot of love and laughs over the past 2 years. 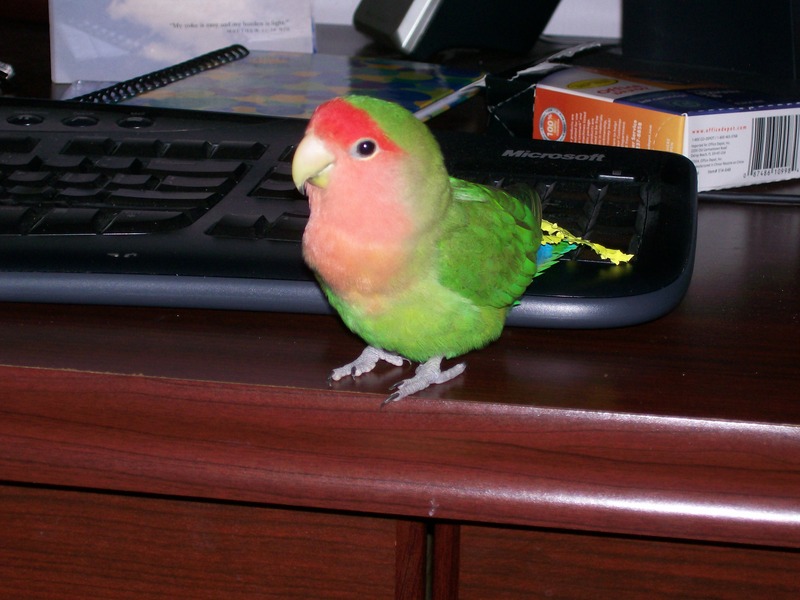 I also have a lovebird named “Squeak” that I received as a birthday present in 1999. His beautiful feathers and intelligence never fail to amaze me. Little Bit doing what he does best. We here at WVyourWay love animals and want to see them go to good homes. On our Pinterest page we post pictures of adoptable animals in West Virginia. It is our hope that more and more cats and dogs will find forever families. If you live in the Greenbrier Valley of West Virginia consider contacting the Greenbrier Humane Society [Businesses – Animal Care > Humane Society]. They have a wide variety of cats, dogs, puppies and kittens. 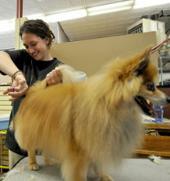 They also have several adopt-a-thons throughout the year where people find wonderful pets. If you know of other animal shelters in the state, ask them to register with us so people can find them too. If you decide to adopt a pet they will need additional care. 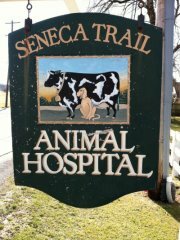 “Seneca Trail Animal Hospital” [Businesses – Animal Care > Animal Hospital > Boarding > Veterinarians] in Lewisburg has a friendly staff and they can help your companion animal with their medical, dental and surgical needs. They even offer boarding services as well as emergency care. If you are visiting in our beautiful area and need care for your pet they will do their best to fit you into their schedule. Are you looking for a more exotic pet such as a bird, ferret, fish, snake or something else? “Susan’s World of Pets and Grooming” [Businesses – Animal Care > Pet Stores] has a large selection of wonderful animals, birds and reptiles. They are conveniently located in Fairlea. In addition to all of the pets they also carry a large supply of pet products and they offer expert pet grooming to make your dog look his best! 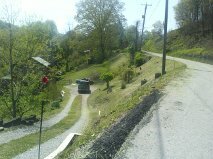 Check out these businesses on www.WVyourWay.com. Following the name of each business above in bold you see the Heading – Sub-heading > Keyword. Click on the heading “Businesses”, then scroll down to the sub-heading “Animal Care.” Click on the sub-heading “Animal Care” and the keywords will then drop down. Click on whichever keyword you’re interested in, then choose your region and hit the “Search” button below the map. Recently I had the privilege of spending a day in Pineville. It is a small West Virginia town with a lot of things to offer in regards to lodging, food and shops. 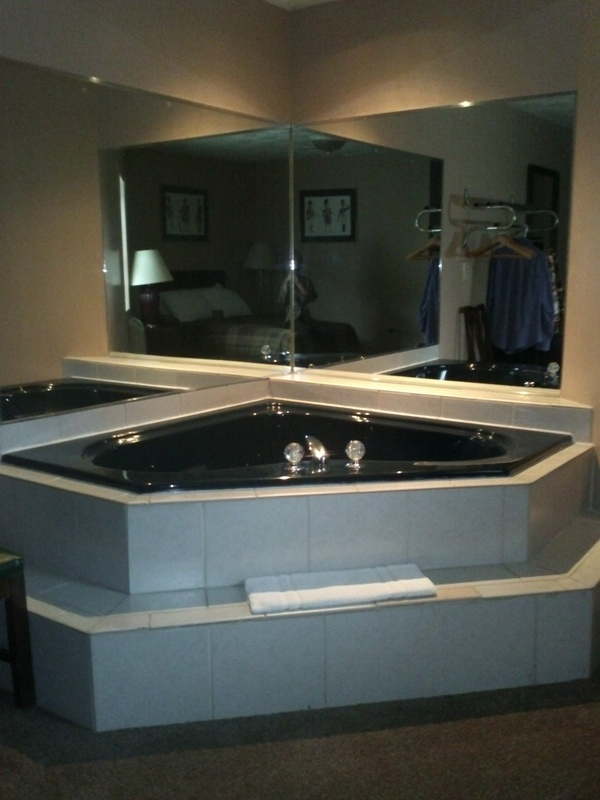 First, Bill and I checked into our room at “Trails Lodging.” We decided to “splurge” and we got a great room with our own private Jacuzzi! The room was terrific and had just been remodeled. The bathroom was large and spotless. We enjoyed sitting in the Jacuzzi and watching old movies! The cost was well under $100 and definitely a bargain. The staff is friendly and the lobby and atmosphere are inviting. On top of that they are located right beside the fascinating “Pinnacle Rock” and across the street from the Wyoming County Courthouse. I felt like I was stepping back in time as we ventured out after checking into the room. The downtown area is small, but exciting. Our first stop was “Pat’s Fashions”. After looking around a few minutes I urged Bill to head out because I knew that I would be “busy” for quite a while. He gladly complied once he realized how large the store was and he knows I love to “look around.” I was amazed at the HUGE assortment of formal dresses as well as fashionable clothing ranging from jeans to dress clothes. 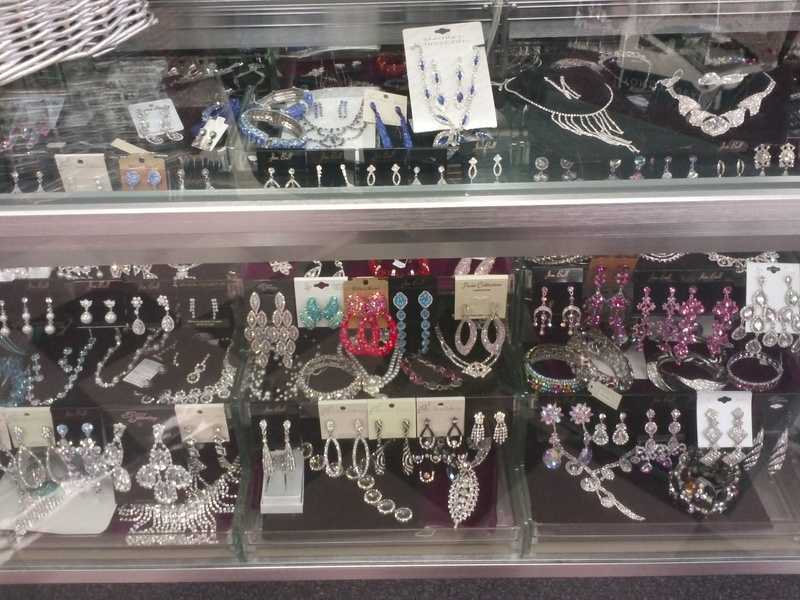 They also have a large variety of jewelry, purses, shoes and other things that women can’t live without. I bought myself a really neat shirt while I was browsing around. The ladies working there were all very friendly and eager to help me find what I needed. In fact, one of them owns a new lodging place herself named “Mimmies Place” which sounded like the perfect place for ATV people, business people and travelers. It is out in the country and has all of the amenities of home. I’ll be back at “Pat’s Fashions” soon. Once I left Pat’s I crossed the street and headed to “The Blossom Bucket.” This is a really neat store. 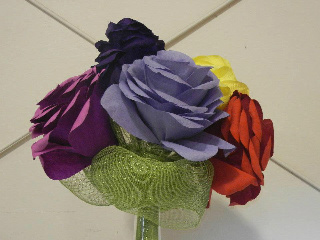 First, it is a florist where you can get exactly what you need for weddings, funerals, and anything else. 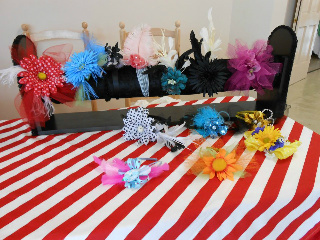 They also offer fruit baskets, balloon and candy bouquets, silk flowers and other items. I love how the store is decorated! 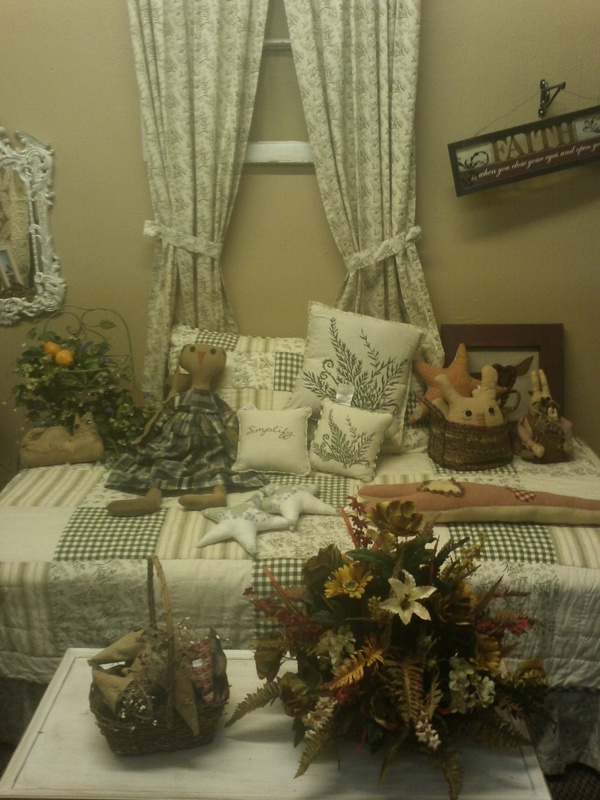 You can buy curtains, bedspreads and other home décor. They have candles, primitives and many other items available for sale. Again, just like every place else in Pineville I was greeted with a smile and a willingness to help me find what I needed. That night we ate at the “Cornerstone Grill” which is located in “Trails Lodging”. 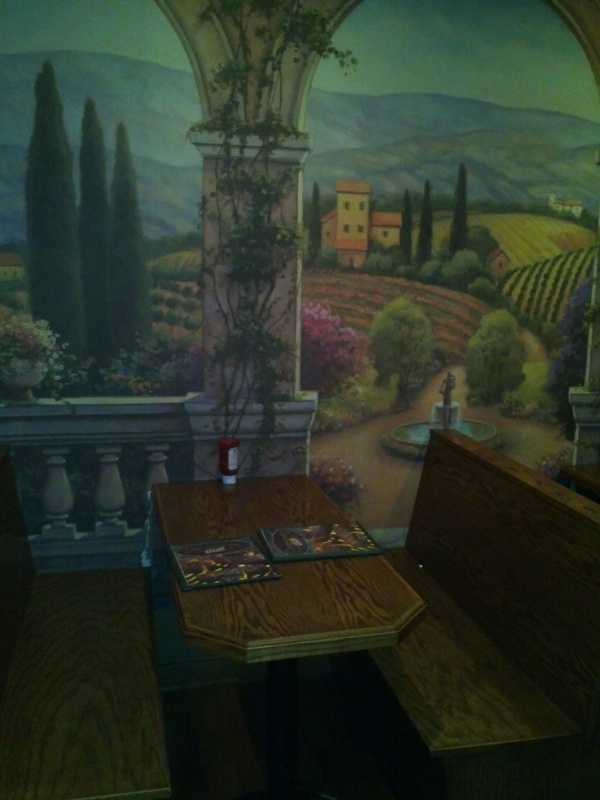 I love the décor of the place and they have a great menu with a wide variety of items. I especially enjoyed the steak salad! It was so good that we ate there again a few days later on our way to McDowell County! Their prices are budget friendly too and that is always good. After leaving Pineville I told Bill that I definitely want to come back again soon and stay overnight. 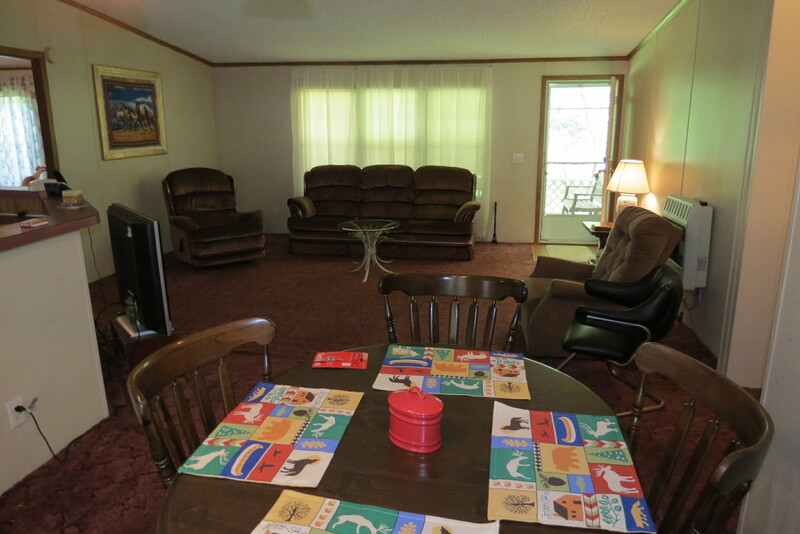 The folks are friendly, the area is beautiful and the atmosphere is perfect for relaxing. The perfect place to come and leave your cares behind! Being relatively new to West Virginia and the Greenbrier Valley I have taken some time to explore some of the businesses here. One of my favorite places is a shop in downtown Lewisburg is called the “Plaid Eagle.” First off, the moment I walk into the store I am greeted and feel welcomed! This is a friendly place! The owner, Karen McClung, definitely loves her store and enjoys seeing people come in and browse. Also, she is readily available to talk to you about her large assortment of antiques and is happy to answer any questions. The store makes me “feel young again” when I check out the toy section. Wow! There are several toys there that I used to play with as a child. 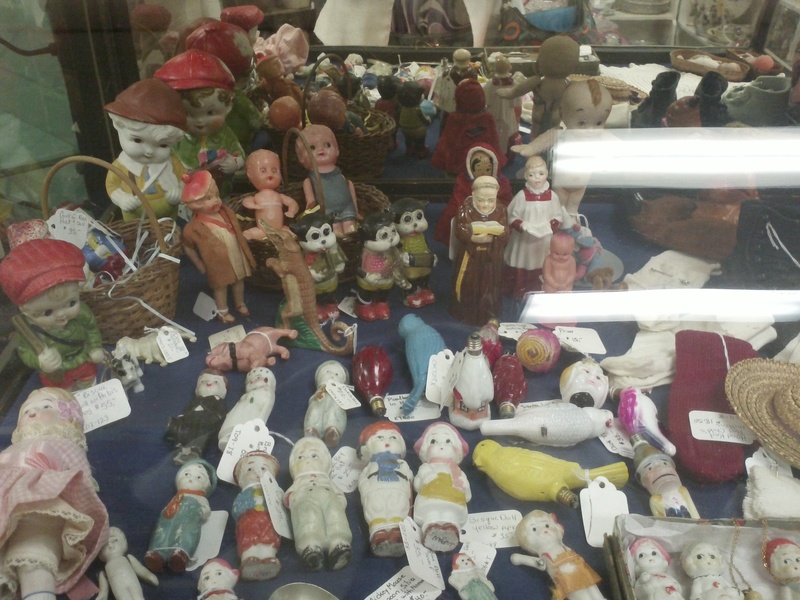 I also have a small collection of antique dolls so I enjoy looking at the dolls that are available for sale. 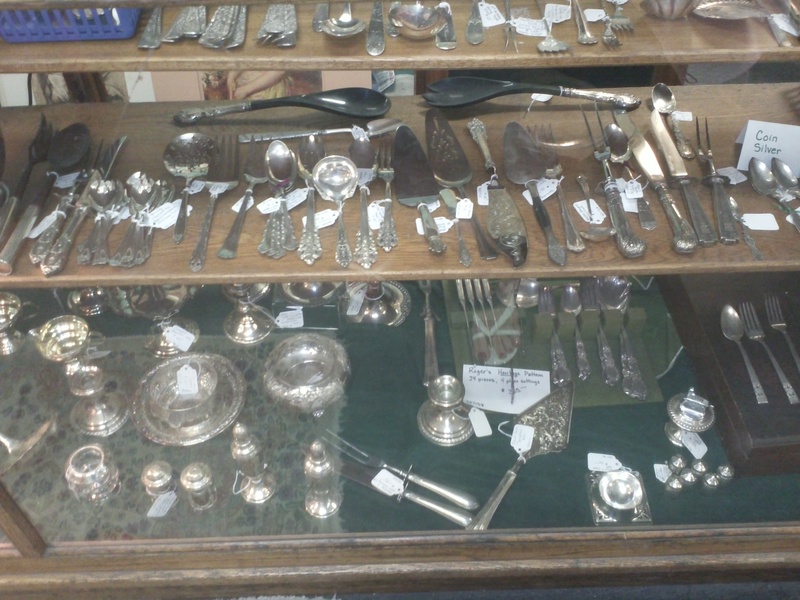 Another neat aspect that brings back memories for me is the large assortment of glassware and silver. It definitely brings back memories of my grandmother’s house in Central Pennsylvania where I loved to visit. The Depression glass is my favorite! 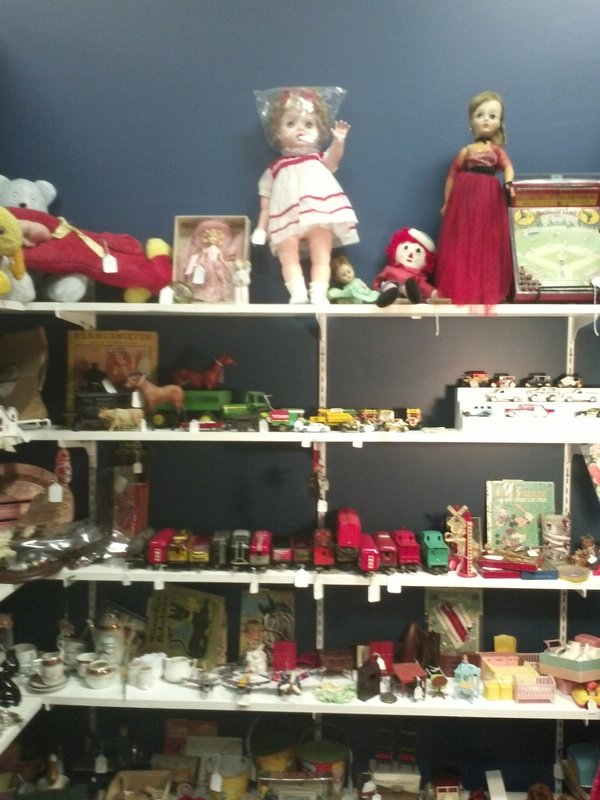 The variety of vintage clothing and quilts in the store are amazing too. If you are into those types of items I highly recommend Plaid Eagle to find what you’re looking for! 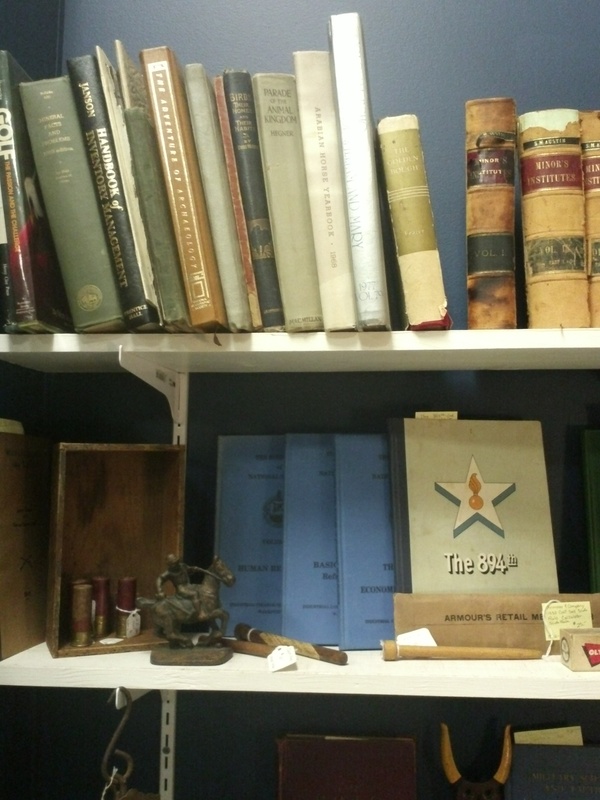 Another aspect that is unusual is the large collection of medical items and old medicine bottles. This would be a perfect place for the collector of these types of items. My husband is a collector of old books and has an extensive library. Plaid Eagle has a large collection of antique books available for sale and a large amount of them are about West Virginia and the history of the state. Hmmm…this might just be the place to shop for his Christmas present. Karen is a specialist when it comes to antiques. She has been in the business for over 25 years. Not only does she have her store she also does Estate Sales. She can do an Estate Sale of contemporary items as well as antiques. She had a large sale recently which featured fine, contemporary items that was quite successful. If an estate sale is something that you have been contemplating please contact her about it. Please take a moment and check out the pictures and see for yourself. 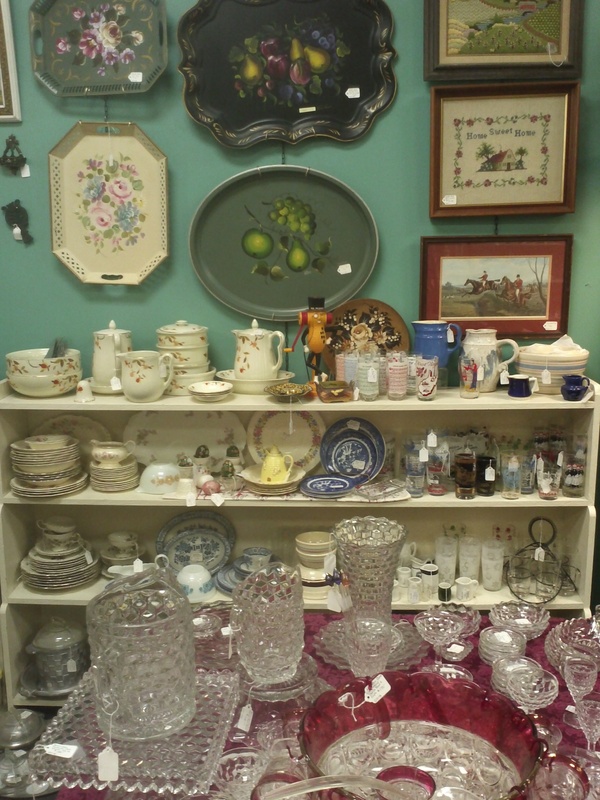 Then, head on over to Lewisburg and the Plaid Eagle Antiques. While you’re there enjoy yourself and shop away! To find Plaid Eagle Antiques and similar stores go to www.WVyourWay.com and click on the Tourism heading. Scroll down and select the keywords: Antiques, Books, Collectibles, Primitives, Prints, Quilts and Vintage Clothing. Then scroll down to the map and click on “The New River/Greenbrier Valley” region. Just below the map is the “search” button. Click on the search button and in moments everything you are interested in, and nothing you are not interested in, will come up. If you want directions to any of the places that are displayed, simply click on “Add to Itinerary” and you will be able to see the places you added separately and see the written out directions. So go search and have fun!